Tell us about your new book | Sarder TV – Learning Ideas. You are at:Home»Book Review»Tell us about your new book Truthful Living: The First Writings of Napoleon Hill. Tell us about your new book Truthful Living: The First Writings of Napoleon Hill. Jeffrey Gitomer provides an overview of Napoleon Hill who he calls the father/grandfather of the importance of having a positive mental attitude and personal development in America. He discusses the impact that Napoleon Hill has had on his life and career. Gitomer explains the honor he feels to be able to present the early writings in an updated manner with added annotations and study guides for the modern reader. Previous VideoHow did you get started in your career & become a world-renowned expert in sales? Next Video How did the writings of Napoleon Hill improve your sales skills? 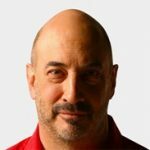 Jeffrey Gitomer is an best-selling author, professional speaker, and business trainer, who writes and lectures internationally on sales, customer loyalty, and personal development. Also known as "King of Sales", Jeffrey has been helping people succeed since 1988. He latest book is the Truthful Living: The First Writings of Napoleon Hill.